What a person achieves in life is represented through the documents and so safeguarding any document is extremely essential. Usually, when you decide to shift or relocate your residence, whether you move locally or move interstate, carrying various documents is important more than taking any other thing along with you. However, in a lot of work load, responsibilities and out of so many documents, it is possible that you might forget some basic paper that is required on priority. 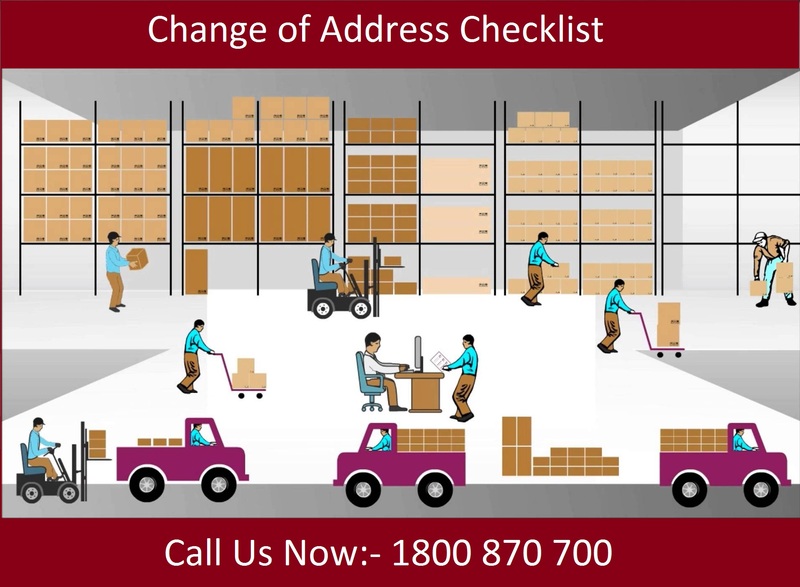 But when you prepare a change of address checklist and include the name of all the necessary documents and places, where you need to submit them, it becomes quite easier to carry each and every paper with yourself, without forgetting or missing. Who do you need to tell when you move house? A checklist is a strong item that helps you to remember every necessary paper or legal document, that holds your personal or professional information. Being a resident of a particular area, in a country, it is your duty to make sure that the government offices like electoral role, medical care department, banks and other responsible authorities are aware about your activities like that of change of address. Moving house includes fulfilling the basic paper work and notified of the local as well the other authorized governments, of the moving house change of address. Also, a checklist includes every information about your public involvements and mandatory public information. For preparing a good and understanding checklist, you can start by mentioning the name of the most important official places that must be informed or notified of your address change. Moreover, if you feel that this is a bit tricky to do by yourself, then you can choose to visit the website of Australian Port and allow them to send notifications or the information about your house shift, to the organizations or any other offices you select. Along with notifying the government offices about your move, it is necessary to make sure to inform all such offices or organizations, about the shift of your children and pets. The school authorities of your child, all the close friends or any other extra circular clubs, that your child is enrolled in to, must have proper knowledge about your relocation. So by now you must have understood the essential qualities of a checklist. Therefore, work in a simple manner, just by creating a customized checklist. Keeping eye on e-mails and keep checking for any new forms considering change of address and make your shift highly comfortable. There are so many things to consider when hiring a removalists company, and experience is also other main a factor in a removalists company. The mover which you decide to choose should have years of experience in the removalists industry and fully equip with all the latest equipments. Capital removalists is a Best Removals Melbourne and a top rated Removalists company. For more information on our removals services, please contact us @ 1800 870 700. We guarantee a quality move at best affordable rates.